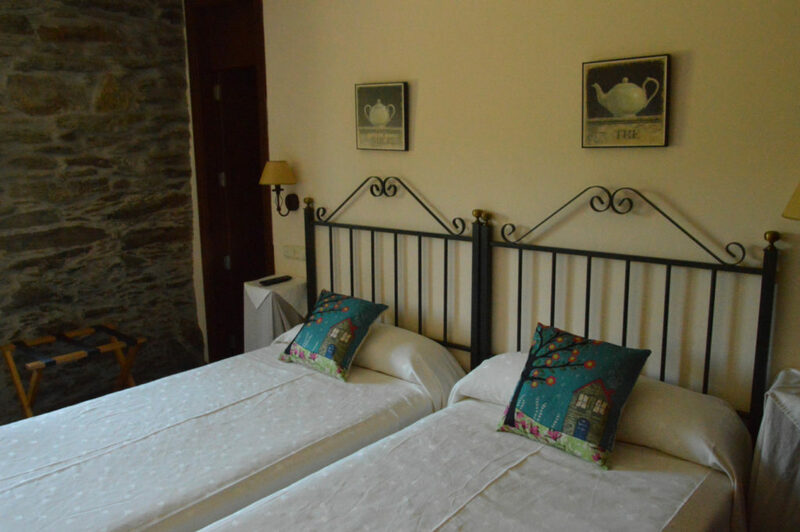 Comfortable charming hotel in heart of nature. 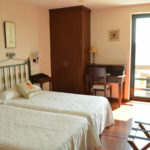 Guests will find everything they need to make their stay as pleasant as possible. 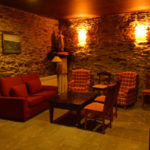 Small countryside hotel with charm. 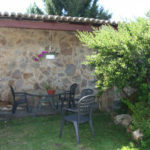 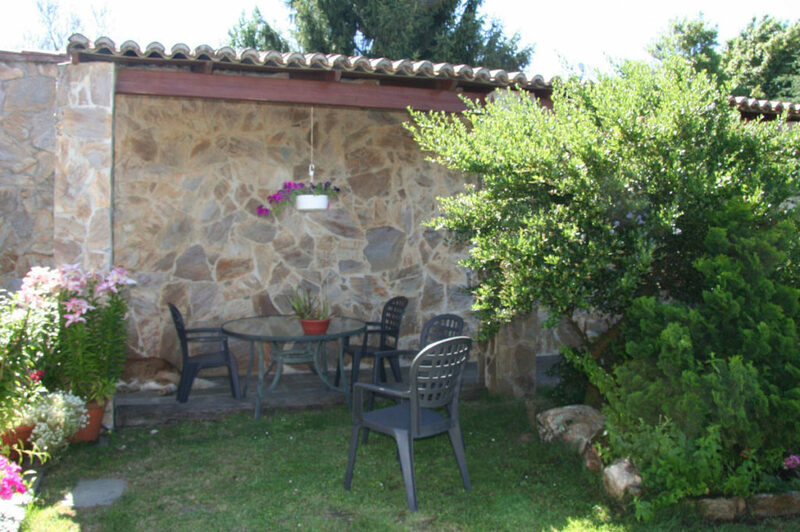 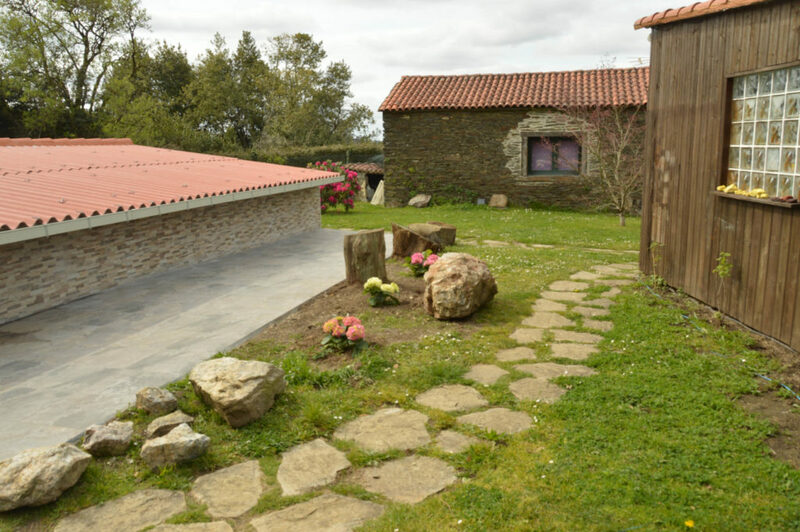 It is located in a privileged environment because of its calmness as well as its landscapes, next to the Camino de Santiago and to only 30 km. 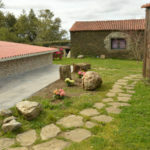 far from Compostela. 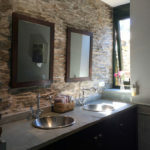 With a special originality and beauty, the hotel incorporates the necessary modifications to offer the maximum comfort to its guests. 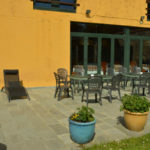 The hotel has excellent restaurant service. 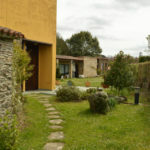 The gardens provide a lovely place to take a walk in the fresh air. 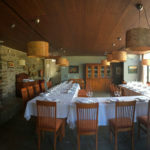 Also available are function rooms for conventions and events available. Ideal place for enjoying the regional cuisine and the local festivals. 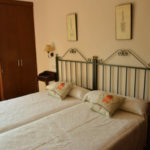 The reduced accommodation capacity of our hotel allows a personalized attention to the guest, marking the most traditional family character of the rural house. 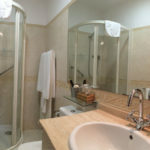 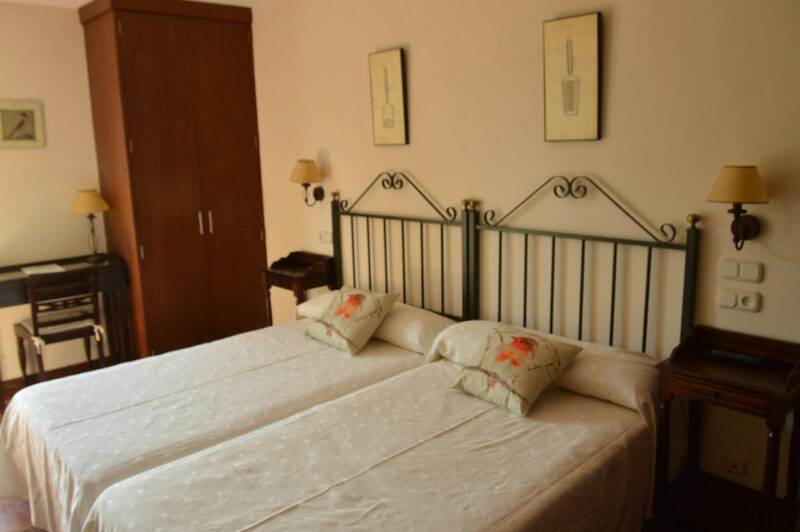 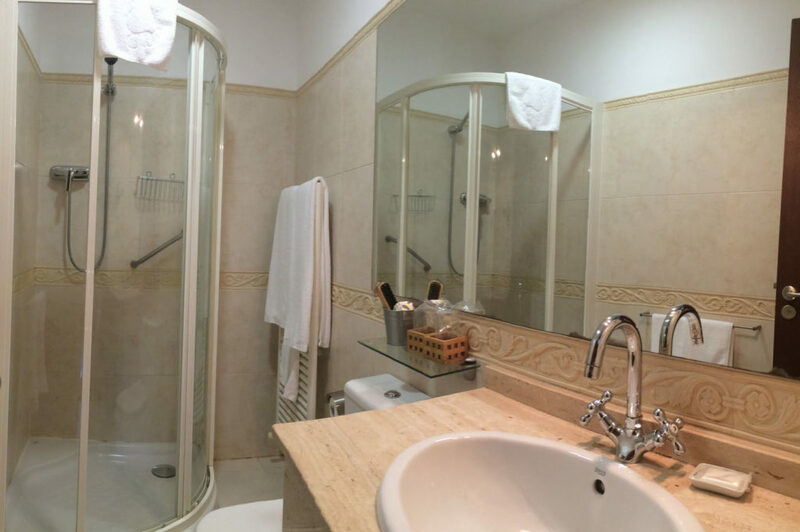 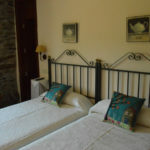 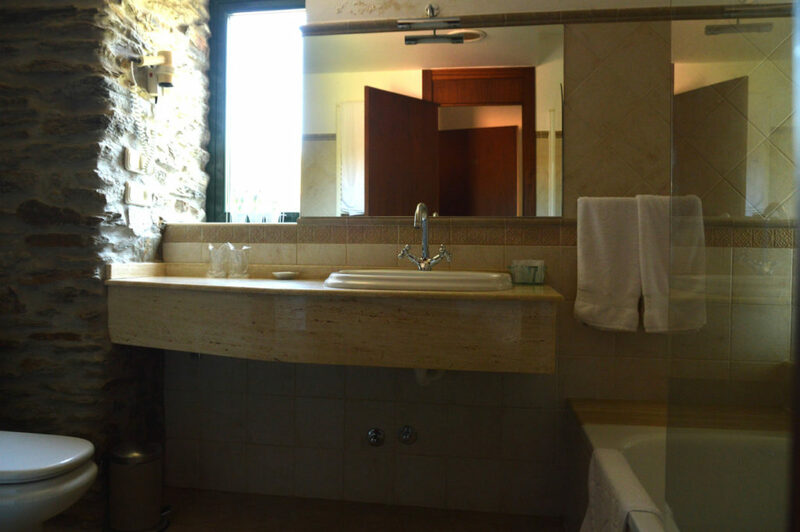 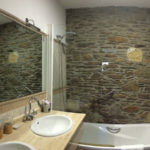 We have 7 double rooms, all with bath or hydromassage shower, hairdryer, television, telephone and internet. 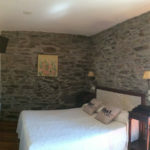 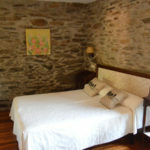 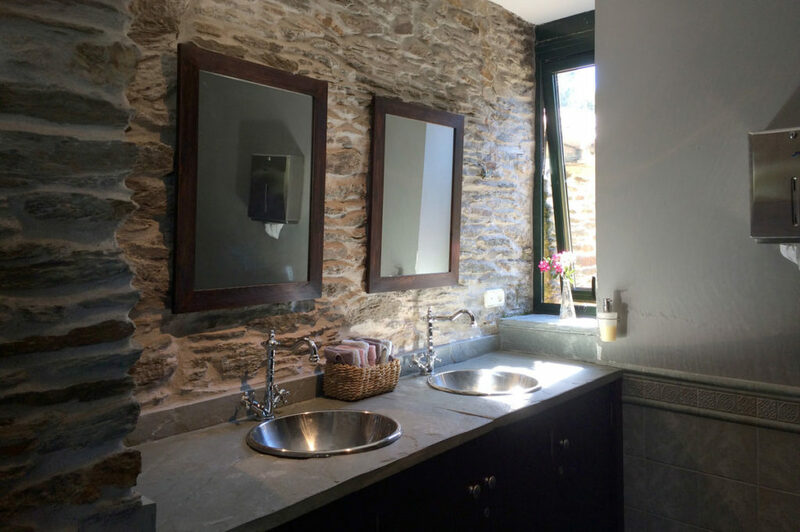 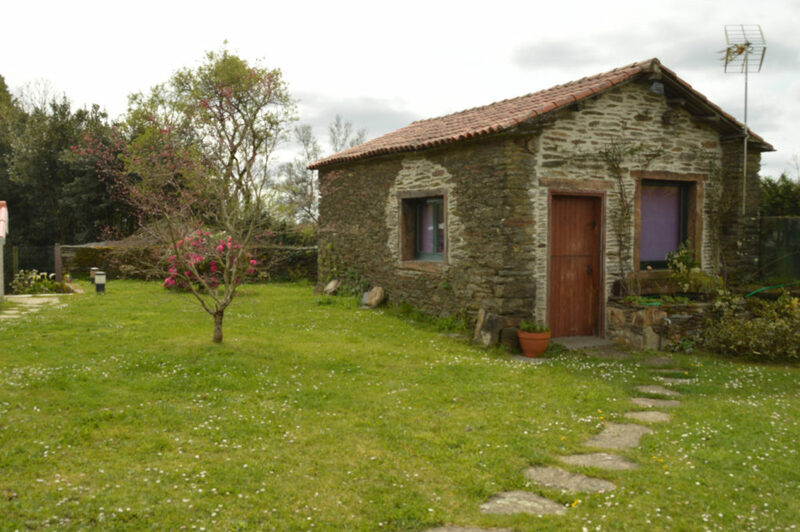 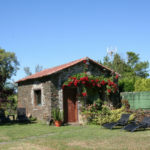 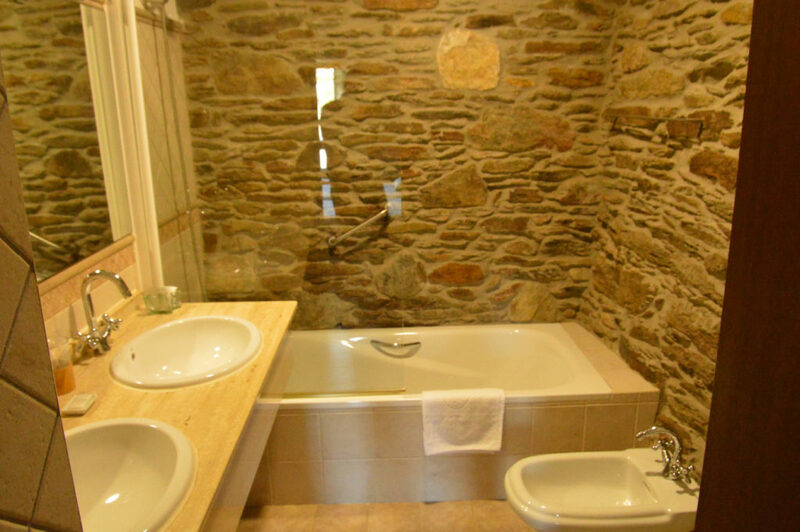 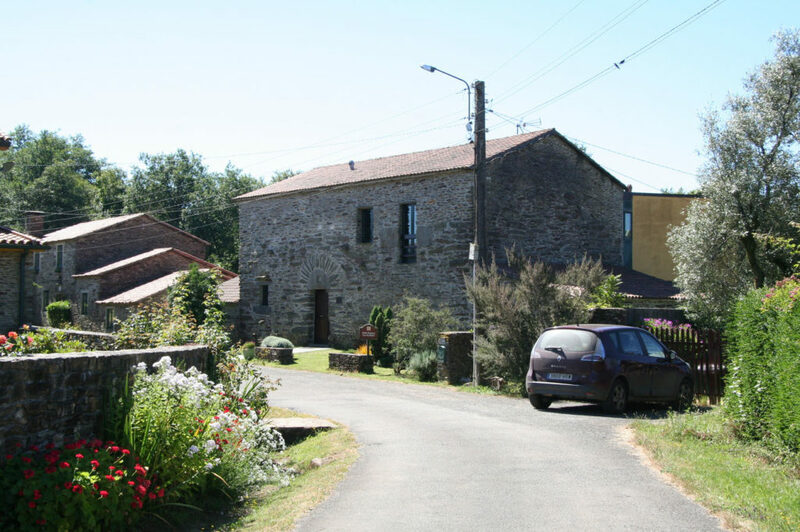 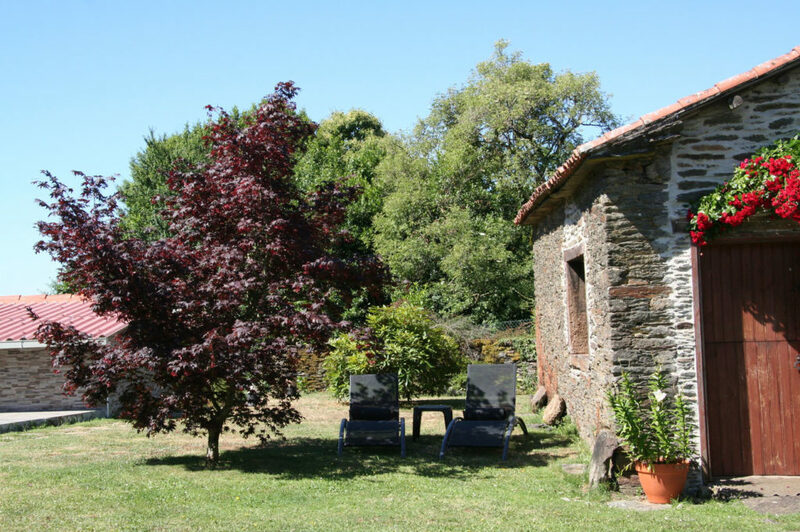 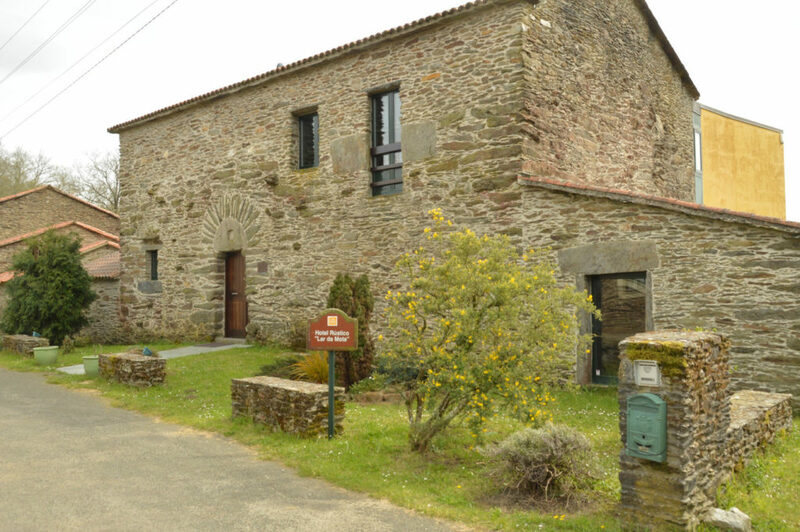 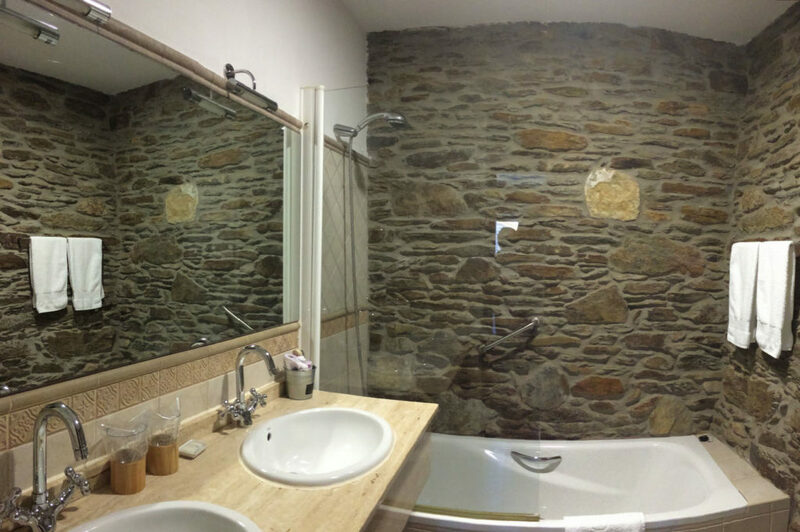 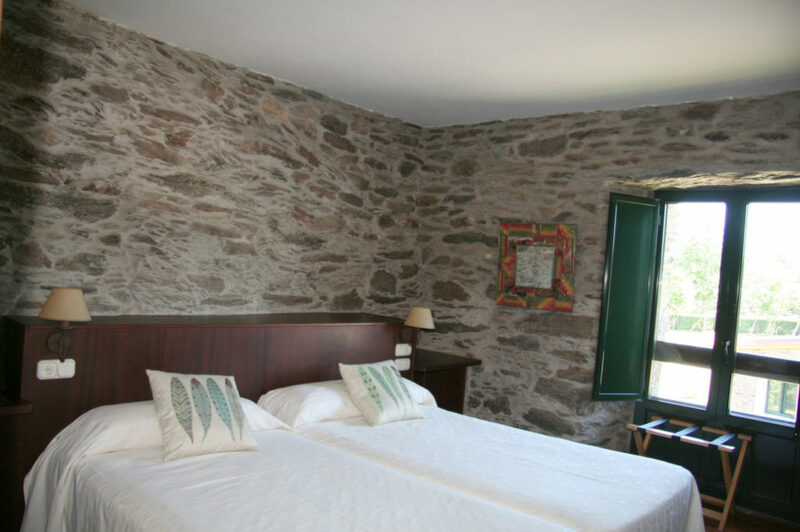 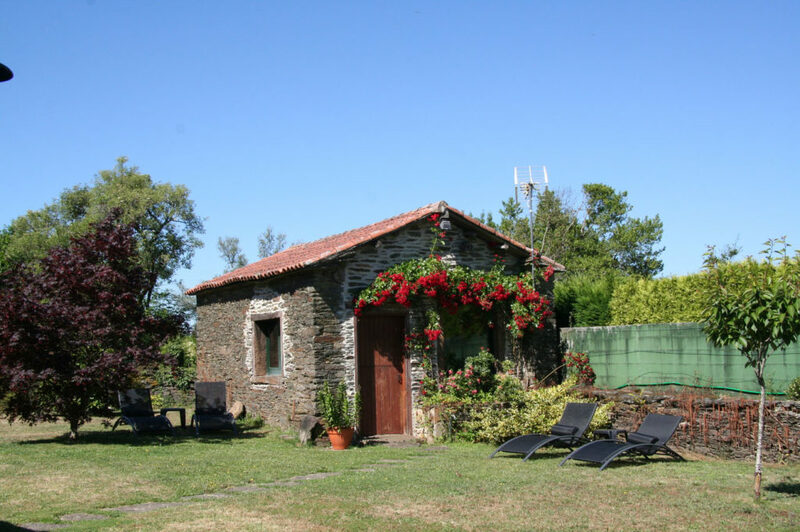 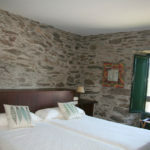 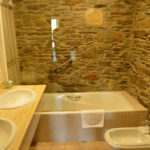 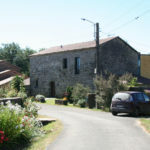 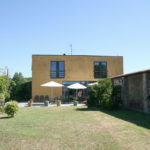 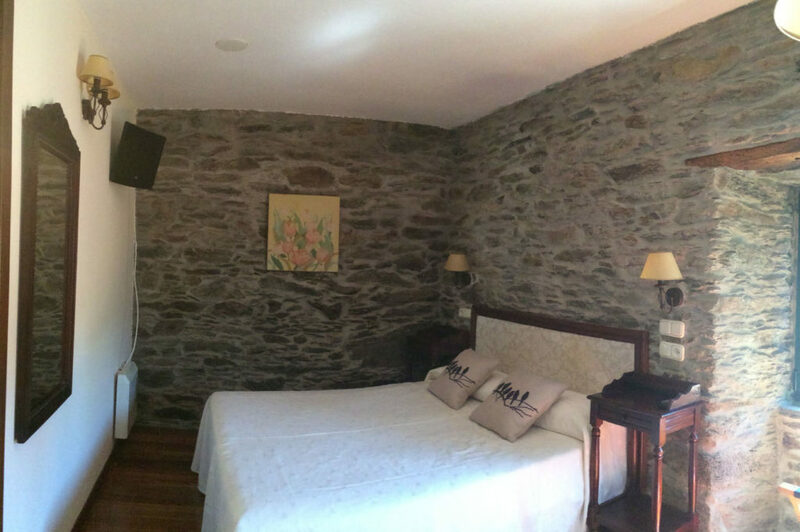 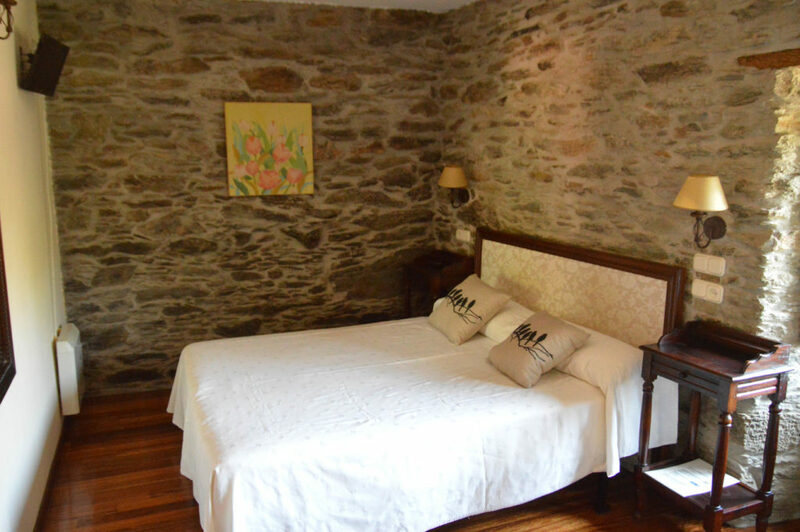 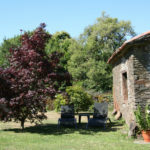 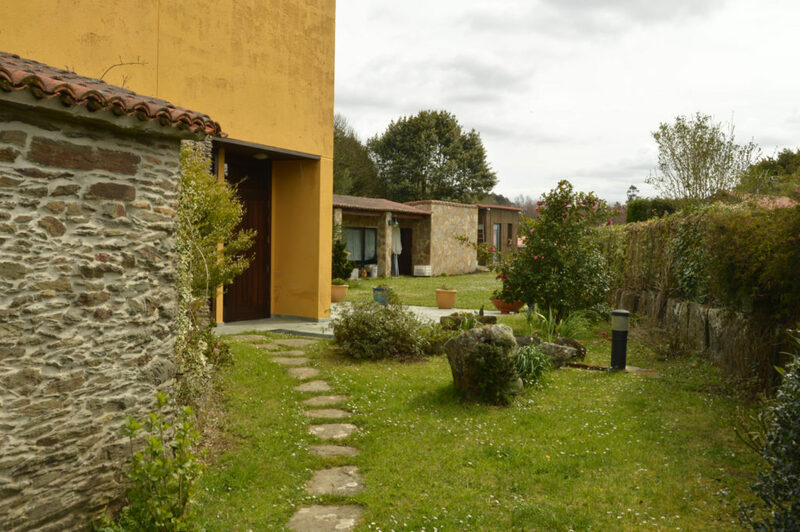 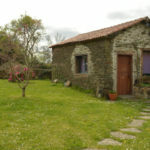 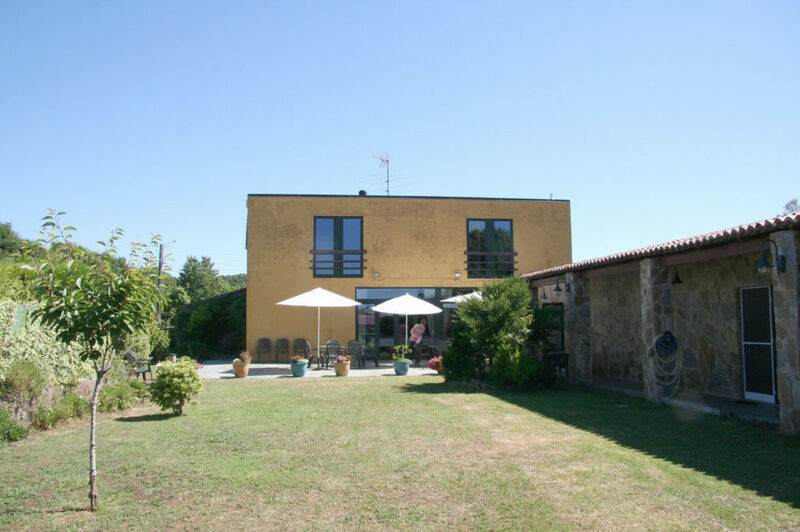 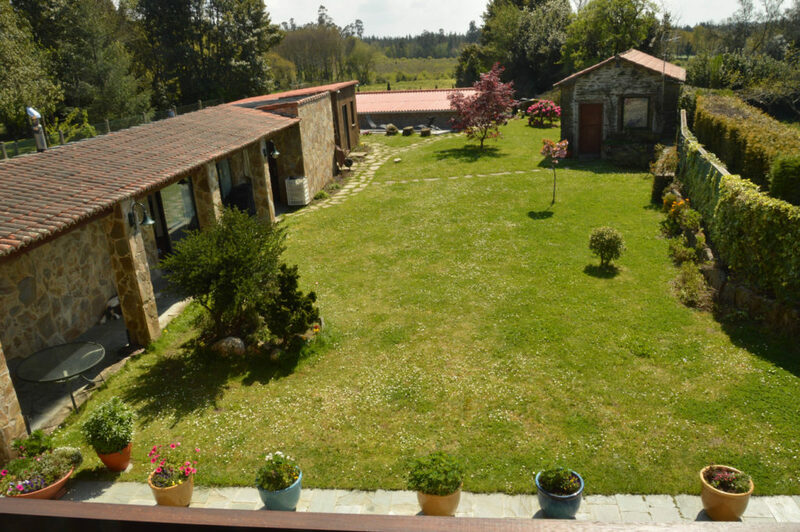 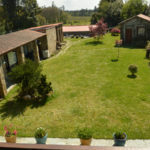 The construction is typical of rural Galicia, with original details, harmoniously incorporating the necessary modifications to achieve maximum guest comfort. 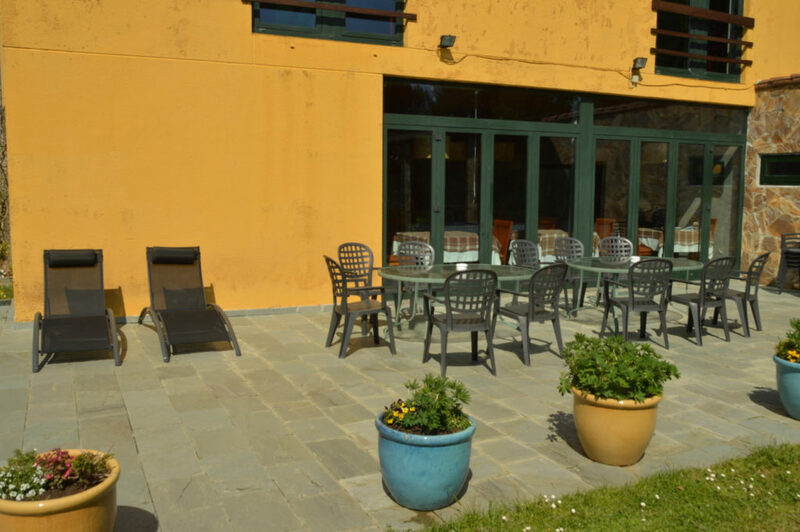 Cozy and spacious interior patio overlooking the terrace and the garden, conditioned with flowers and native plants. 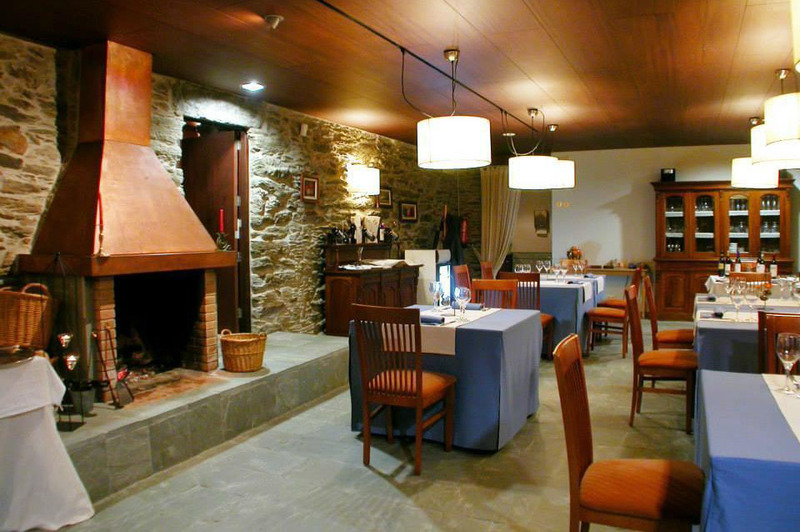 Our restaurant is especially cozy, with stone walls, fireplace and a large window that opens onto a garden and a beautiful countryside. The original passage was retained and a small stream that runs through the interior of the dining room and whose murmur accompanies the chatter of the diners. 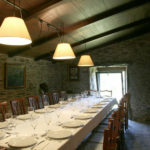 You will enjoy our exquisite traditional food, brought from all the Spanish geography and given by the good work of our magnificent cook. 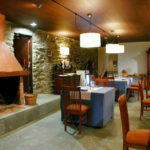 Homemade liqueurs, made at the hotel, with Industry and Health certificate. 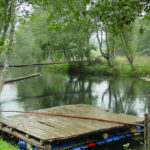 Available flavors: cinnamon, cocoa, green nuts, lemon, orange, blackberries, raspberries, etc. 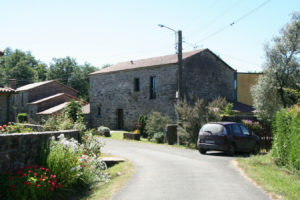 A landscape of meadows, groves, hills, small valleys and rivers, dotted with houses of farmers and small urban centers. 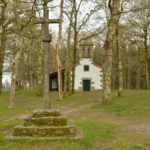 Nearby is the chapel of A Mota, where the Old North Road passes, the route taken by the pilgrims who come to visit the Monastery of Sobrado dos Monxes. 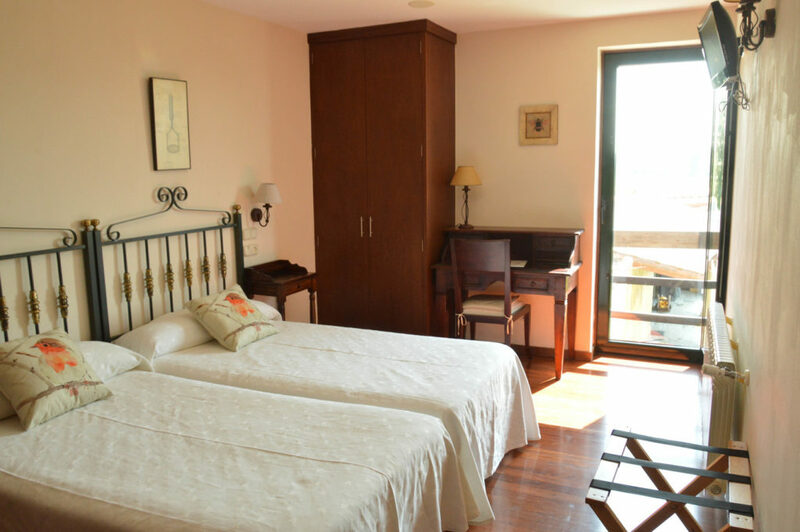 You can also enjoy moments of peace and fun in a cozy river beach near the hotel, surrounded by lush trees and a small waterfall. 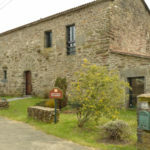 By car you can visit nearby towns such as Sobrado dos Monxes, Santiago, Coruña, Betanzos, etc. 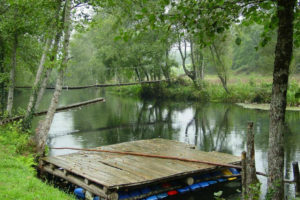 You can also go to a river beach or go to the coast. 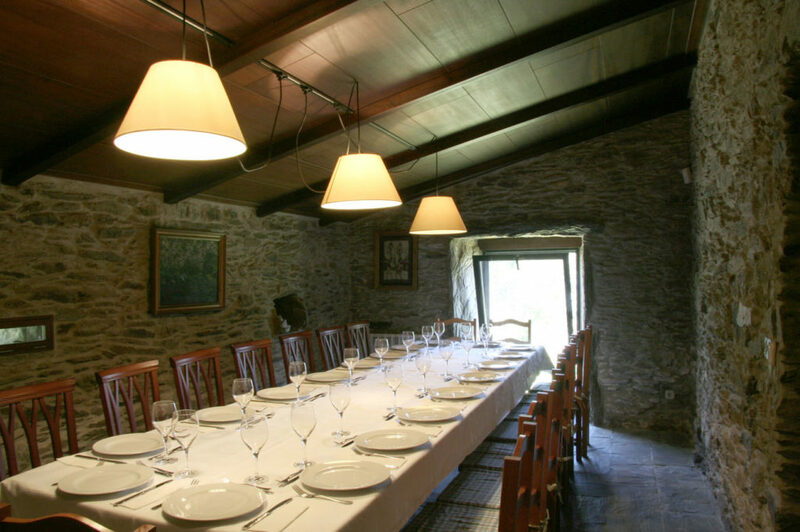 Lar da Mota offers its facilities for conventions , congresses , meetings and company celebrations . 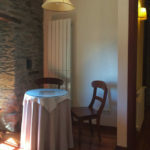 We cede our space with prior reservation . 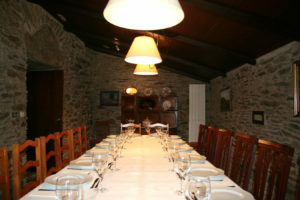 The client has the possibility of hiring a special menu for the event. 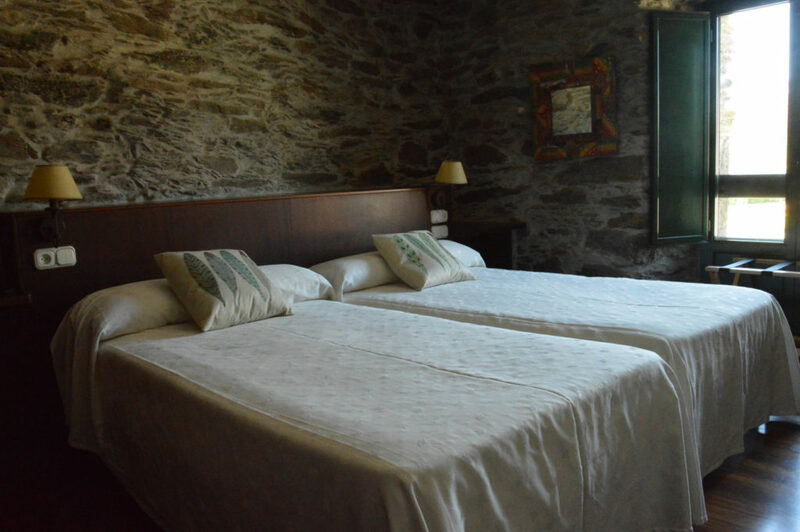 Our rural house is an optimal space for this type of activity, since it combines the comfort of a hotel with the privacy of a small house . 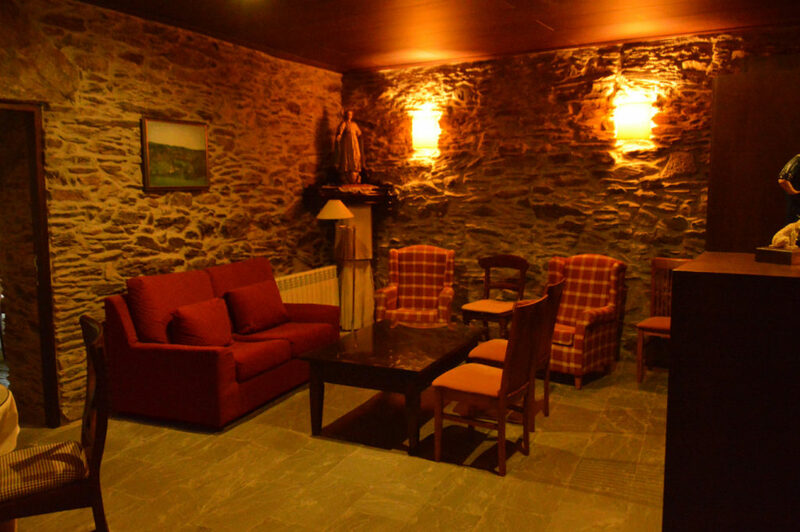 Lar da Mota offers its facilities for the celebration of anniversaries , weddings , baptisms , communions , etc. 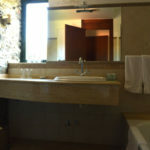 We cede our space with an agreed reservation . 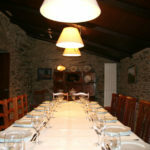 We offer the possibility of accessing a special menu for the celebration banquet . 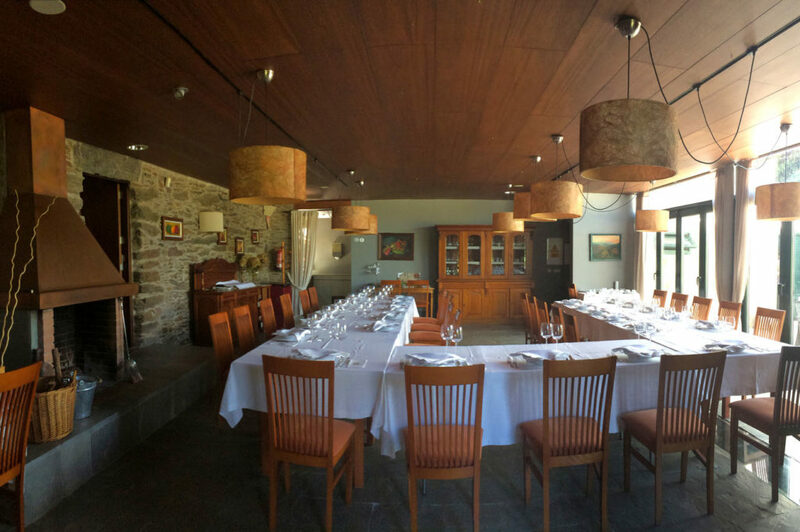 Our restaurant is especially cozy and warm, which makes it the right place to share your most important moments with your family . 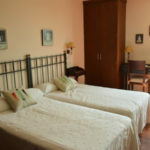 Room of wide, personal Games and divided in two stays. 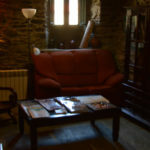 A stay conditioned with 2 sofas of 5 seats and 2 chairs making circle on a low coffee table. The other adjoining room, equipped with a coffee table and 4 chairs. 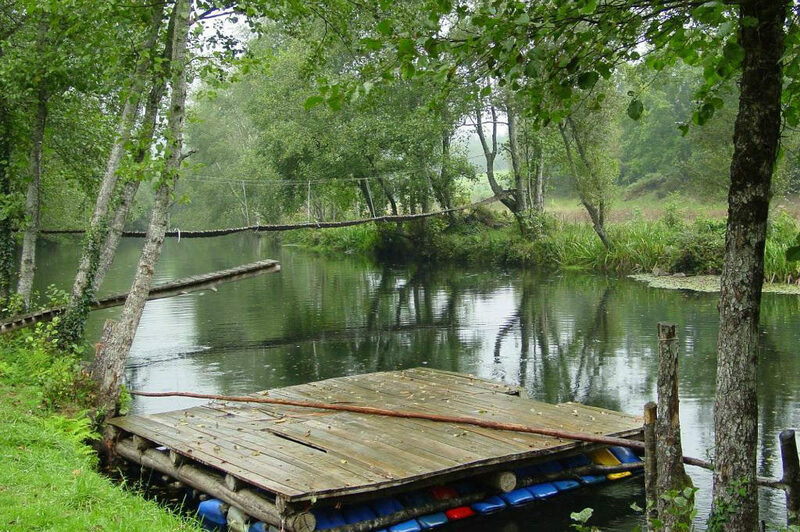 Especially designed for group games. 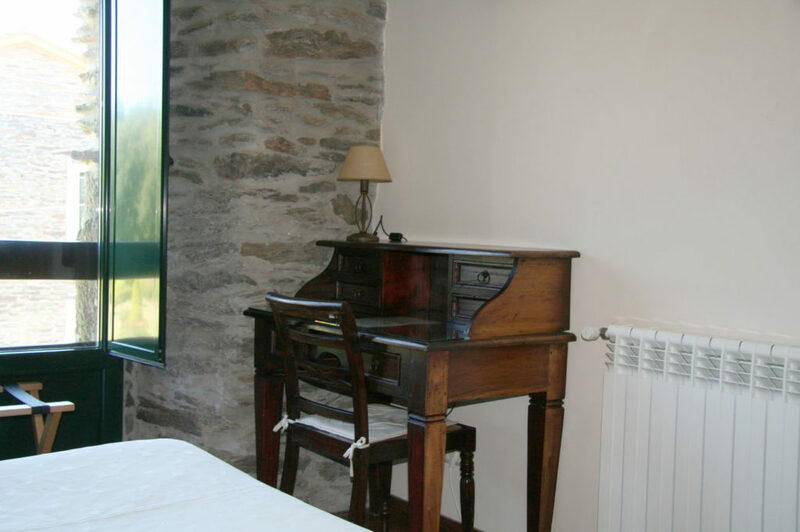 Various board games are available in the room: chess, monopoli, cards, etc. 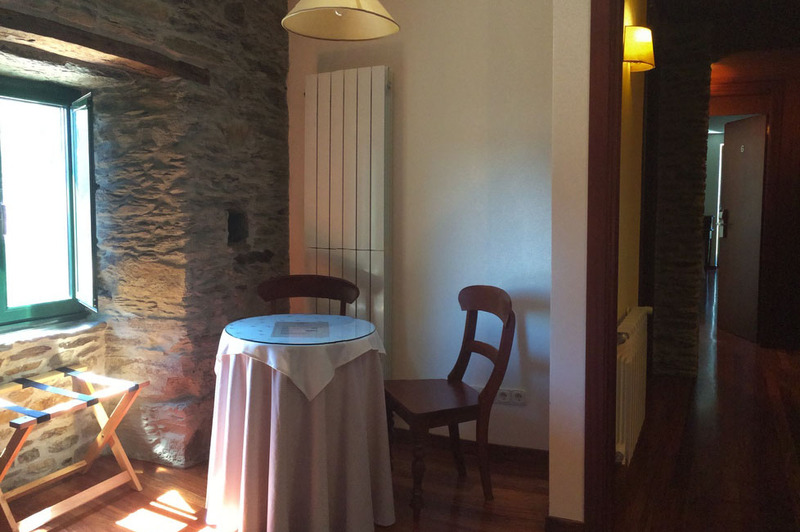 Reading room next to the lareira, equipped with 2 reading chairs and a rocking chair so that you can enjoy your quiet moments peacefully. 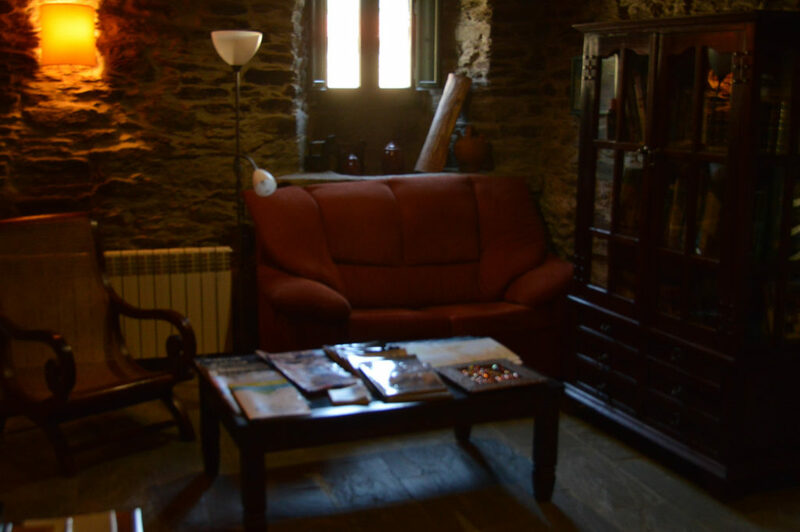 In our library you will find tourist books of the area and surroundings and a small bibliography of Galician authors. 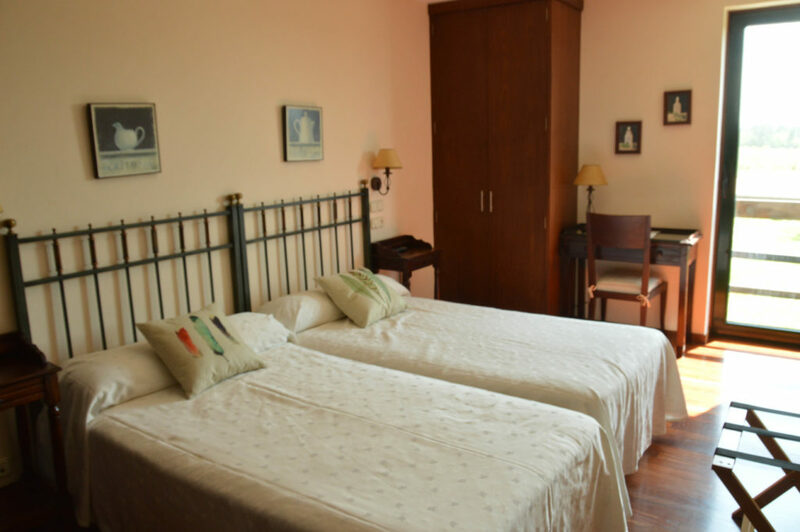 The reading room is specially designed to create an adequate reading and personal leisure environment. Pick-ups arranged with guests at the airport . 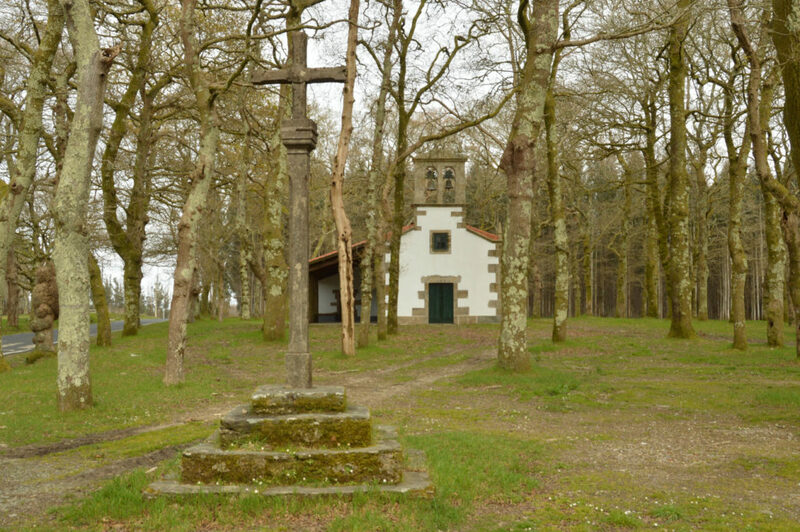 Way of Santiago , the pilgrims are picked up in Arzúa and taken to the hotel. 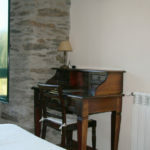 You can do a stage without a backpack sleeping two nights at the hotel.